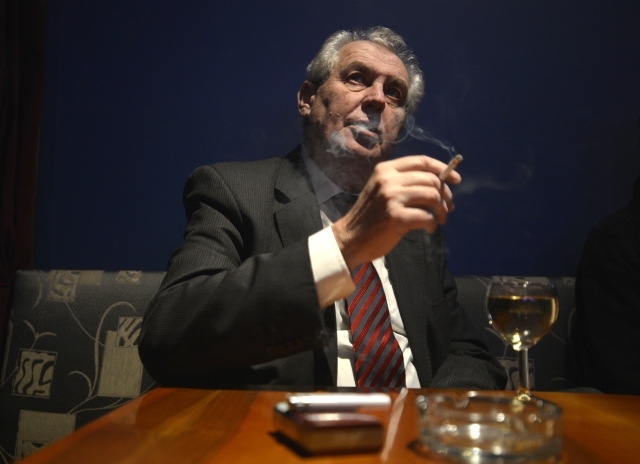 A new website dedicated to asking the question “When will Zeman die?” was launched this week. The owner was motivated by celebrity death pools. On the new web site, kdyumrezeman.cz, there are guesses for the day when the re-elected head of state dies – and on average it comes out on 9 August 2019. The domain registrar, according to the findings on the web, is washing hands, no violation of any laws. But the police have been alert to this, but the police have not dealt with it yet. However, the speculation about Zeman’s death was disgusted by his remarkable criticism and Miroslav Kalousek’s TOP 09 deputy. The web with the contest of Zeman’s death was registered by Jiří Horák at WEDOS Internet . “I understand that this is a very unusual site, but it does not violate any Czech laws and we can not do anything about it,” replied Tomáš Starý, a spokesperson for Flash News, to see if the company has any connection with such a domain. The site promises a “good feeling” to the most successful guesser. The Guardian of Freedom on the Internet has a parliamentary Pirate Party in the Czech Republic, and she nods that it is not illegal. “But it is true that no internet regulator exists in our country. But I know from the past cases that the company has defended the case against any allegations, and that post was then deleted or the court banned the operation of the site, ” said Pirate deputy Mikuláš Ferjenčík. Police did not know the news about the site. “At this point, we have no information about the police being involved with this server,” police spokeswoman Iveta Skupien said. She added, however, that she would investigate whether a police unit had already done so and asked for a link to the site from the Flash Report.